The Battle For Art! : BEST OF 2011: Part 7! Rob Coffinshaker is a brilliant troubadour of the eternal night, one of the truly great singer-songwriters of our age. What does it matter that he is also undead and cursed to roam the world until time itself ceases to be? His earthy bass-baritone calls up ghosts from the lost frontiers of old Americana, stirs bones centuries deep in the valley of Transylvania and rises up through the hallowed soil of Sweden like a terrible ancient plague born of blood, tears and seductive melody. This is far blacker than whatever black metal you've been cutting your arms to lately. And it's just one man with an acoustic guitar and a croon that rarely quivers above a stern whisper. Of course our European brothers and sisters have been wise to his magic for many years but North Americans might catch on yet (it only took four decades after the death of American balladeer Woody Guthrie for his home state of Oklahoma to finally honor his musical legacy with a formal museum archive, and even this modest recognition is being fiercely contested by southern fat cats who still frown on his commie political leanings). If you haven't spent quality time with Mr. Coffinshaker you soon will, as we all must. And this beautiful 7", his third solo offering, is as good a place as any to get started. You'll want red wax in the candelabra and plenty of good bourbon. The four songs on this latest EP are something of a departure from the overt vampire ballads and dark country swing of his band The Coffinshakers and it is a testament to his gift that what remains when he momentarily sheds the cape of persona are gripping meditations on death, betrayal and the pain of loss that time will never heal. 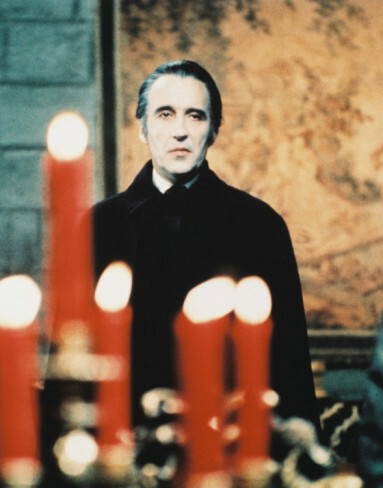 For the most part these are well-worn traditionals given the cold unmistakable touch of the grave- equal parts Johnny Cash and Christopher Lee. I'm not sure if the title track Dark Rollin' Skies is an original or not but many of you will immediately recognize Stone Is Very, Very Cold, Henry Green and In The Pines, the latter being a particularly tragic confessional made famous by Leadbelly's quivering rendition (and returned to radio more recently via Kurt Cobain) sometimes referred to as Black Girl. Settle in, friends. It's going to be a long cold night. Limited to 666 copies, naturally.